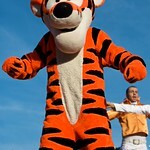 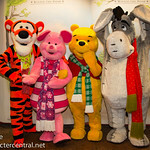 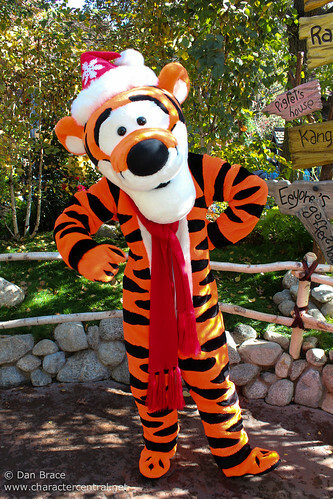 Tigger is the bouncy, hyperactive stuffed tiger from the 100 Acre Wood. 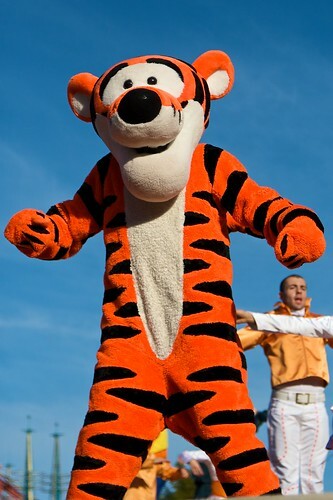 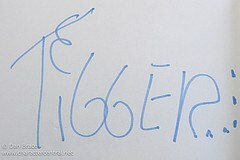 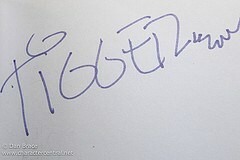 What's more, is that Tigger is completely unique, often describing himself as "the only one". 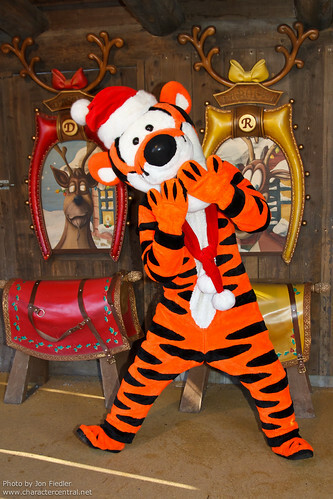 Although he has boundless energy and seemingly seldom listens to anybody, Tigger is a true and loyal friend to all the residents of the 100 Acre Wood. 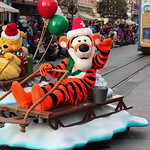 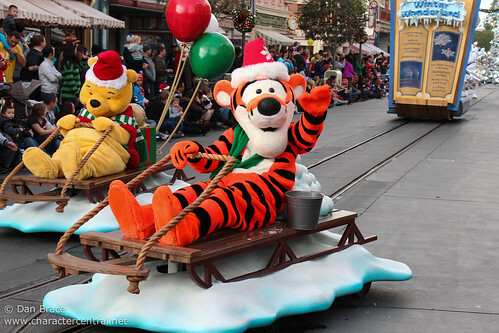 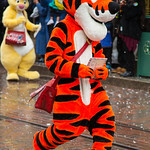 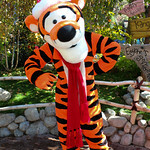 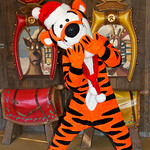 Tigger frequently appears in Fantasyland at the Magic Kingdom, Critter Country in Disneyland, and is known to pop up pretty much anywhere in Disneyland Paris. 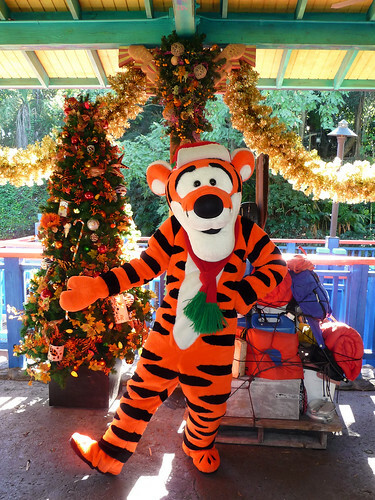 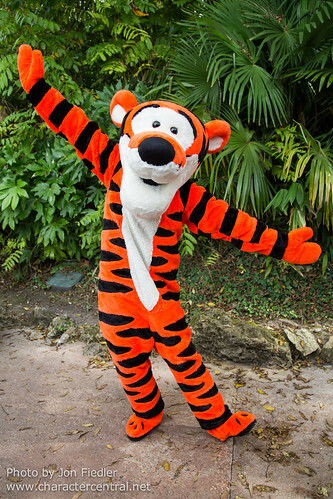 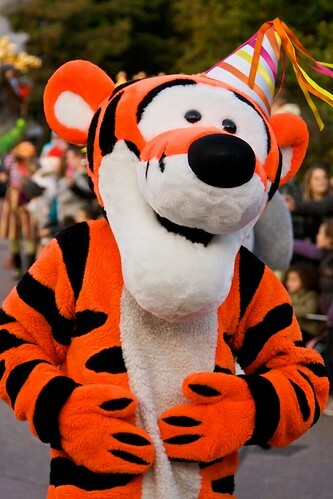 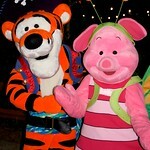 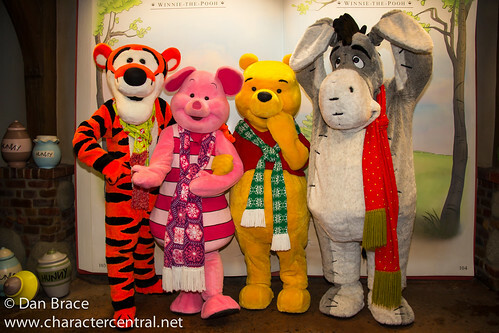 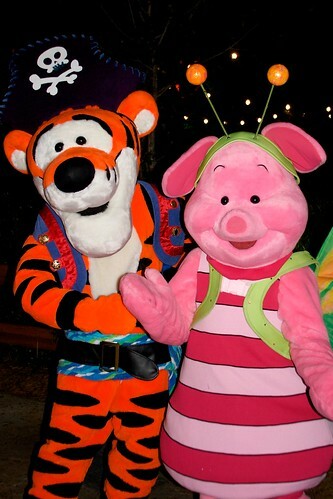 You can also find Tigger at the Crystal Palace character buffet in the Magic Kingdom. 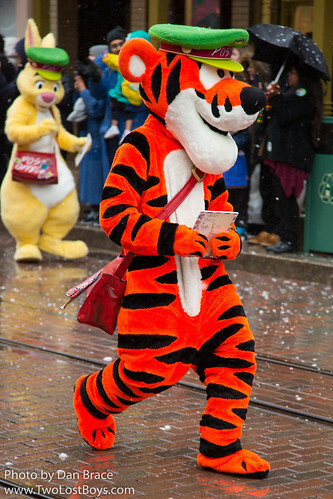 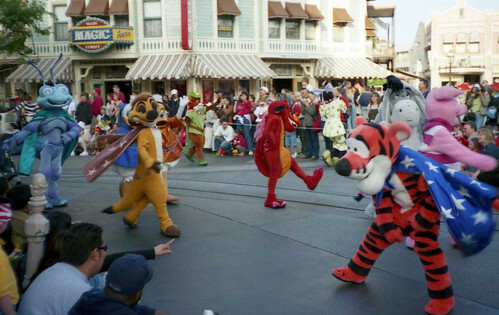 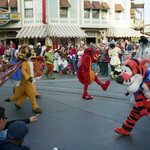 The only place in Tokyo that you can see Tigger is at the Crystal Palace character breakfast, at Tokyo Disneyland. 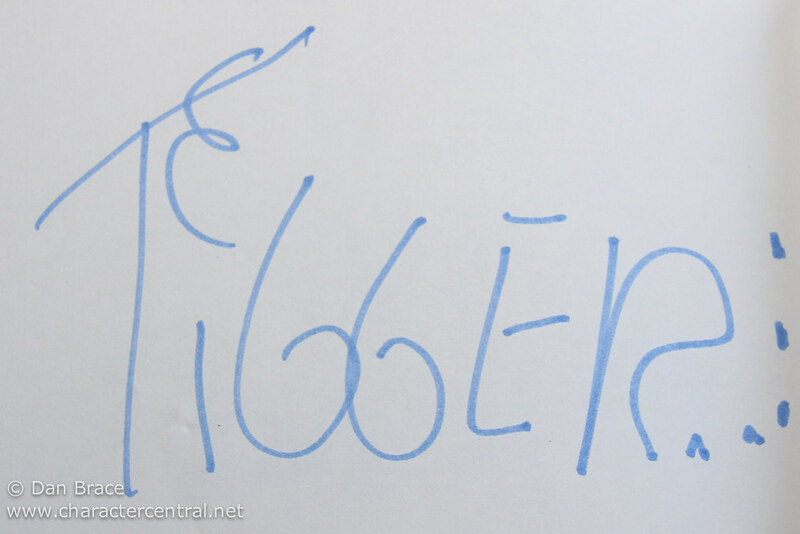 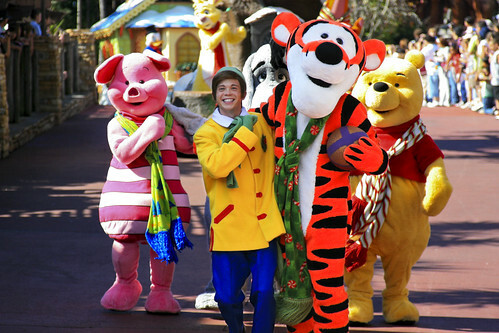 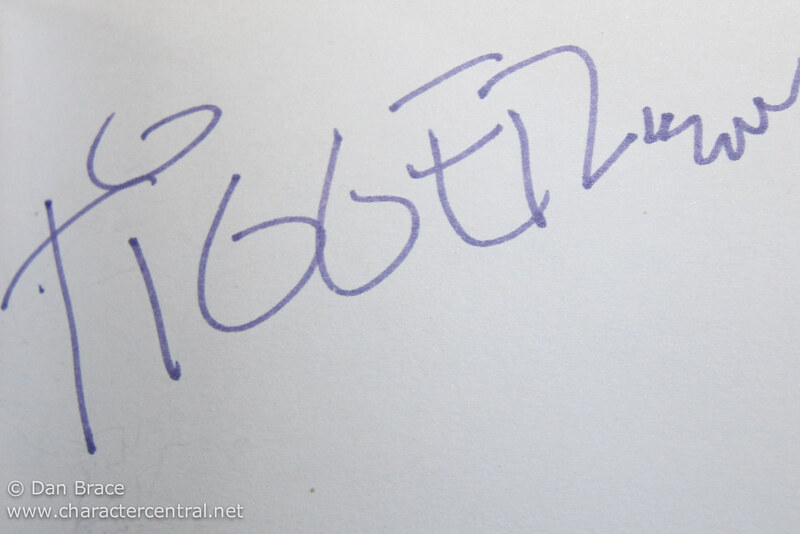 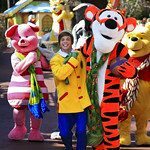 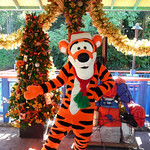 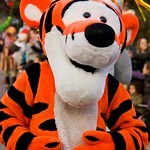 Tigger does not appear in Hong Kong or on the Cruise Line as far as we know.